Being punctual and reliable might increase your chances for a promotion. 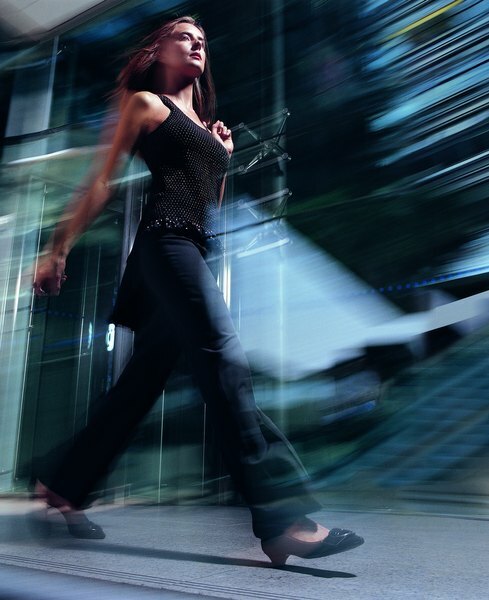 It's doubtful that you'll incur out-of-pocket expenses for being late to work unless your co-workers have created some kind of piggybank to which employees contribute money when they're late and use the proceeds for an employee party or social outing. However, an employer who implements a policy like this probably doesn't exist because of the implication that you're paying to come to work. Although you might not be assessed an actual penalty by your employer for being late, you could be subject to other penalties, especially if you're habitually late. If you're paid by the hour -- meaning, you're a nonexempt employee paid by the hour -- you could lose money every time you're late. Punching the time clock a few minutes late every day or even every few days can affect your earnings, regardless of how many minutes your employer gives as a grace period. Too much tardiness can result in losing 10 minutes here, 15 minutes there. If you're late every day of the week, and your paycheck reflects 15 minutes in lost time five days a week, that's 1.25 hours a week and approximately 5 hours each month. Salaried employees cannot have their pay docked for arriving late. It's against the Fair Labor Standards Act for an employer to make unlawful deductions -- such as docking a salaried worker's pay -- in cases where the employee has worked any portion of the day. Even if you don't make it in until a couple of hours after the business day starts, your employer cannot penalize you by reducing your pay. 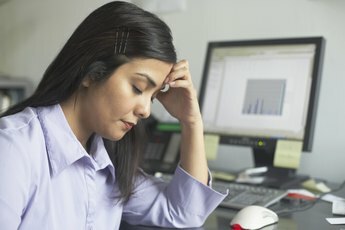 The FLSA prohibits employers from treating salaried workers like hourly workers by reducing their pay based on the number of hours they put in each day. If you're a salaried, exempt employee, and you arrive late, you won't lose money, but you give your boss and your co-workers the impression you're not dependable. In addition to losing pay, your performance ratings could suffer, based on your constant tardy arrivals. You're hired to do a job and your employer expects you to adhere to what some call the social contract for employment: a day's work for a day's pay. When it seems you're not making an effort to arrive at work on time, it can give your boss the impression that you're not the conscientious worker she thought you might be when she made the job offer. Nevertheless, you can't be charged a penalty for being late, nor will you be charged for getting a poor performance rating based on tardiness. It's not just your boss who expects you to be on time; your co-workers have expectations, too. If you're late all the time, there will come a point when your co-workers might begin to think you're not reliable. This might affect interpersonal and working relationships with others, and importantly, your ability to get ahead in your career. Punctuality is more than just an attribute that looks good on paper, it's part of your professional work ethic that demonstrates how committed you are to your career. Is Being Late to a Job Misconduct? Can a Job Force You to Go to a Meeting on Your Day Off? 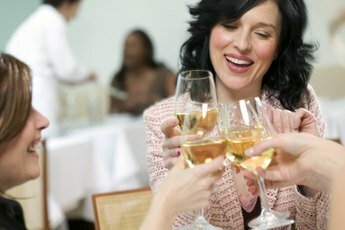 Can an Employer Fire You for Drinking During Lunch?